Item number 1148/15 a-b from the MOA: University of British Columbia. 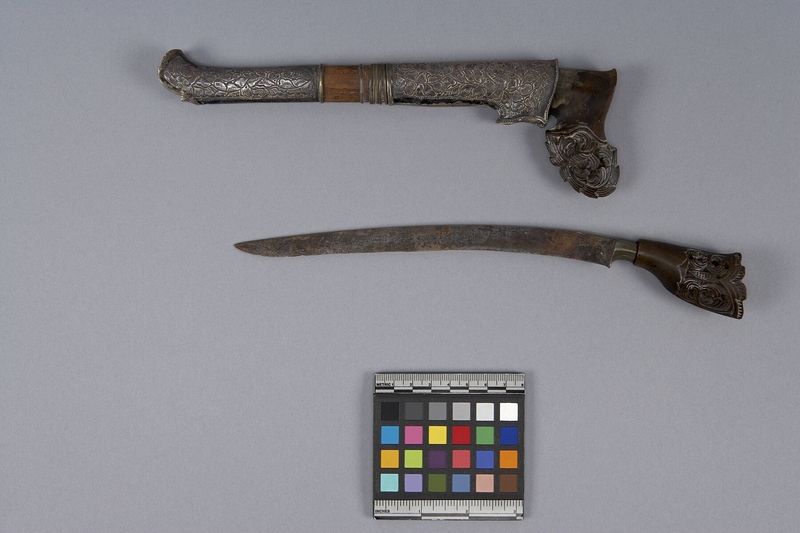 A curved metal blade (part a) with a rough edge and a wood handle carved with an ornate spiral pattern. The sheath (part b) is made of wood partially covered with metalwork. 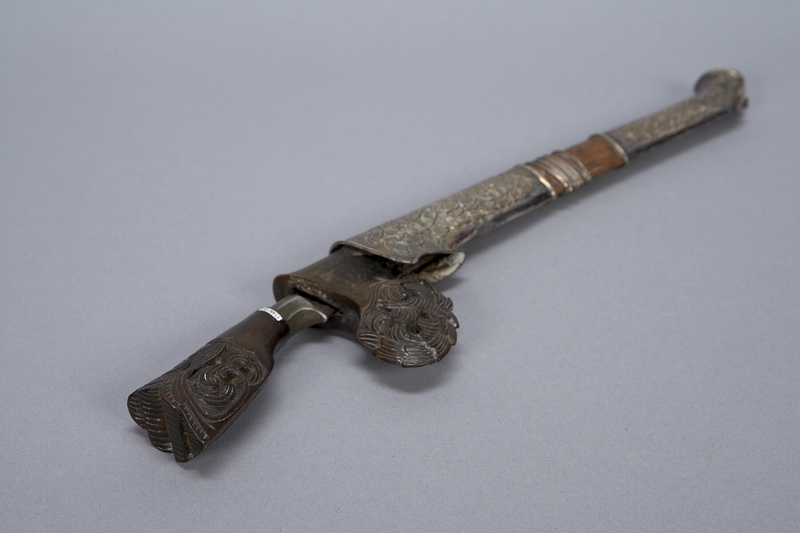 One end of the wood sheath is carved with an ornate spiral pattern, while the metal pieces have an ornate floral design.